Between the 1950s and 1970s, husband-and-wife animators John and Faith Hubley made their own independent films with intelligence, passion, humor, and of course, great music. 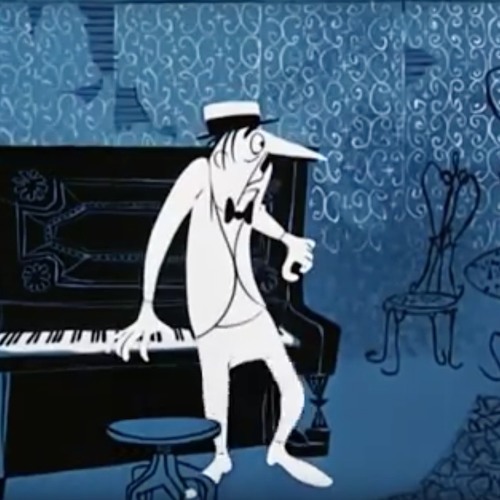 The Hubley’s poetic sensibility and whimsical, impressionistic visual style–more reminiscent of painters Klee and Miro than Disney–lend perfectly to jazz music. "There's something about jazz's bending of time within a rigid format that also applies to animation," Faith Hubley once observed. "That's why they work so well together. It's a marriage made in heaven." This special program features the filmmaker’s collaborations with Dizzy Gillespie, Ella Fitzgerald, Oscar Peterson, Quincy Jones, Benny Carter, and others.